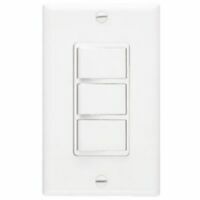 The Broan 655 Recessed Heater Fan Light Combo features a single-phase 12-volt motor that operates at 60 hertz. 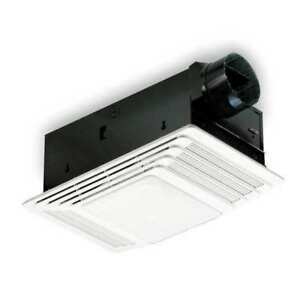 Heat from the 1,300-watt element is distributed by a forced-fan system and it is designed to be mounted inside the ceiling. Its housing measures 14 inches long, 8 inches wide, and 6 inches tall and is made from 23-gauge steel. The fan's grille measures 17 inches long and 11 inches wide. The duct is 4 inches in diameter. Fast shipping, great item,thanks again ! Same model as my old one (which was about 20 years old) Works Great. good transaction. was as advertised. Priced cheap, just as good as 15 years ago, parts still swap to older versions. This model has similar models with cross fitting parts and has been sold for over 15 years. Making it easy to buy parts for or just buy a whole new unit and swap internals or even swap the cover to update the look of your old vent fan. Still has the same quality build as years ago so cant go wrong. Its why I still install Broan vent fans into my home. Easy to replace worn heater & fan modules. I had two units installed in my house when I built it in 1996 & they are still there. I have to replace the higher usage heater in the master bath about every 7-years. Both the heater & fan are easily replaced, just order a replacement, unplug the worn out module from the unit, & plug in the new one. I can replace the heater in less than 10-minutes. I have never replaced the fan. I just purchased a new 655 unit for my son's house & am installing it now. I did not shop around for him. I automatically ordered a 655 because I like everything about it. I have had 2 of these in my home for 29 years. No they do not hold up that long but I'm able to buy complete units still and use just the inner components as replacement parts. Much cheaper than buying individual parts. Great modular design that allows the fan unit, heater unit, light unit and lens to be easily changed out when one of them fails. Great for small bathroom spaces. May not be suitable for larger bathrooms. The fans are not the quietest however and get louder with age which is common with most.